LED inks are cured instantly at top press speeds up to 18,000 sheets per hour, accelerating your schedule and opening valuable floor space. 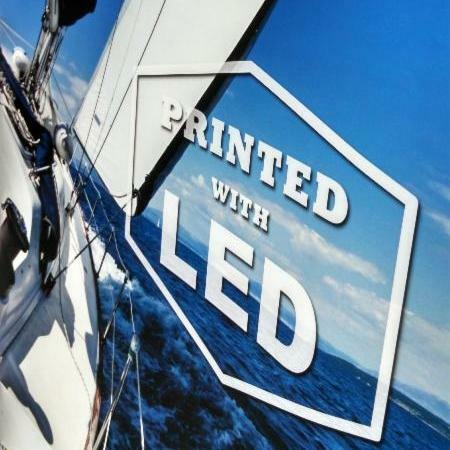 LED image quality is higher than conventional printing, especially on difficult substrates. AMS LED lamps retrofit quickly after the last print unit or delivery on nearly any press, and consume just a fraction of the energy of UV, IR or Hot Air dryers.